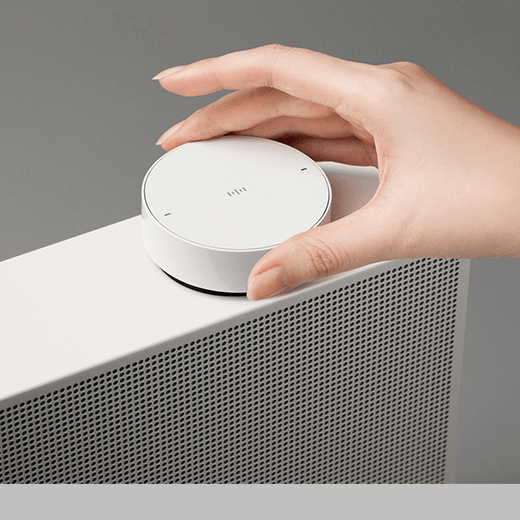 The Smart Audio VL is a wireless audio system with a simple form factor that allows easy installation anywhere around the house, freeing users of the stereotype of the conventional fixed positioning of an audio system. It also provides users with easy control through a Dial Remote that lets the users find tracks and carry out simple commands such as play/pause and volume adjustment via voice commands. Listening to music has now expanded to every living space and audio quality is ever more important. That is why Smart Audio VL Series prioritizes the shape, form factor and user experience of audio. Designed by: Bumho Chun, Gyoosang Choi, Sungil Bang, Junpyo Kim and Byungwook Kang of Samsung Electronics Co., Ltd.